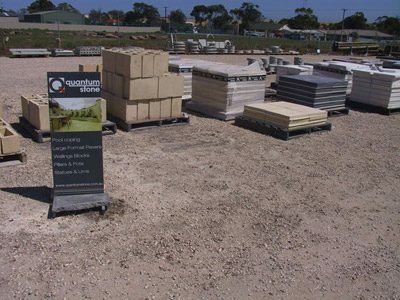 Our range of high quality concrete pavers from quantum stone are a great addition to any pergola or landscape project. 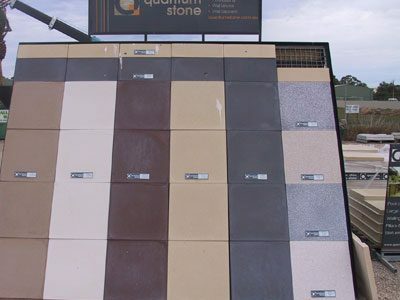 Quantum Stone have a great colour and product range, are based in Adelaide and have a great production and delivery service. 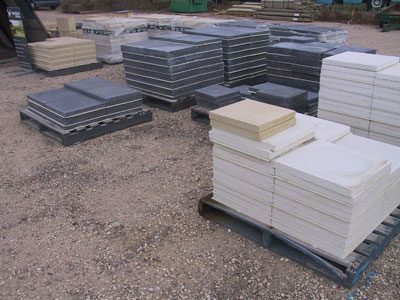 We also keep a great range of pre cast concrete products and stepping stones to suit any garden. 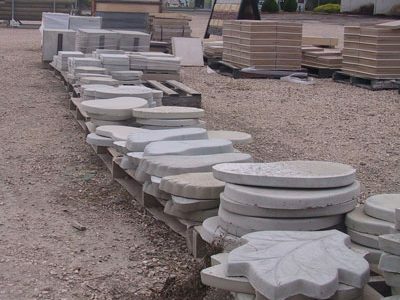 View a sample of the range of concrete products we have available for your garden in our gallery. 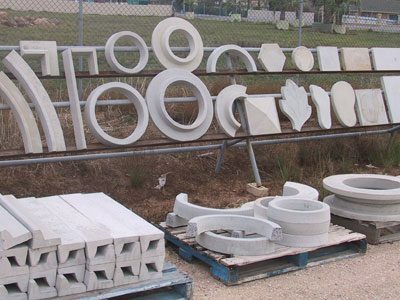 If it is a novelty foot slab, kidney shape slab, square slab or lawn edge, we have it all. We also keep in stock concrete car stops and steel pins to suit. Quantum stone have a great quality concrete paver which look great in all applications. 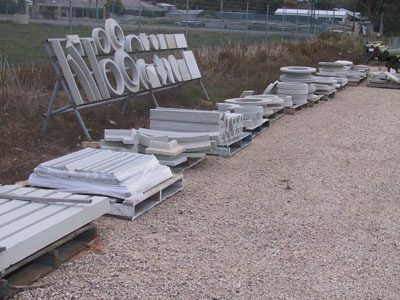 They have a variety of colours and sizes and also have a walling block system that would add value to any backyard. We hold stock of several different colours if you only need a few pieces for a job or we can have job lots delivered to site directly from the supplier. Call in to see our sample board and collect a brochure. quote to supply an entire job delivered to your property. Our display on site shows various colours and sizes available in their product range.